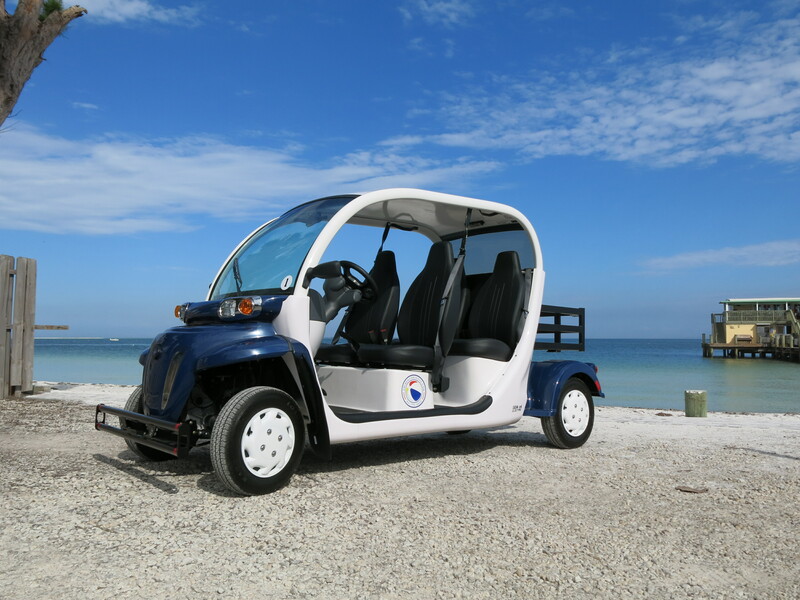 GEM® e4 Electric Powered Golf Carts: A 4-person golf cart for Anna Maria Island. The 4 person AMI Beach Buggys GEM® e4 electric golf cart comes standard with a 1kW onboard charger that plugs into any 110 V outlet. We supply you with a 20 foot recharging cord for easy recharging of your GEM® e4 electric golf cart. A powerful, safe, street legal, 4-person electric golf cart vehicle to see Anna Maria Island with your family and friends! Like a compact, powerful, maneuverable, street legal golf cart, the versatile GEM® e4 electric car carries four people in spacious comfort—with 43 inches of leg room for an exceptional ride.